Leadership and governance are the most important aspects of making an IT organization work just as much as the strategy is. Charting the course of IT transformation is an intricate process that involves many different layers depending on the unique needs and goals of the business. Our roadmap advisory services provide companies with the quantitative and qualitative dexterity necessary to lay out all options in an unbiased way to achieve major business transformation. It’s more than just setting a course for strategy and execution –it’s a catalyst for internal motivation and success across company culture. Your business needs a collaborative roadmap and strategy for now and for the future. Our IT Roadmap service helps identify the core support and services you need to be the best in your industry. Through a series of interviews and extensive data gathering, BestIT will help you develop a dynamic technology strategy that is bonded with business initiatives. You’ve gone through the process of BestIT assessing your IT and business environment. Now you have a business-aligned IT roadmap. Now what? It’s time to execute. And you feel confident in your team and want them to take the challenge and own it. 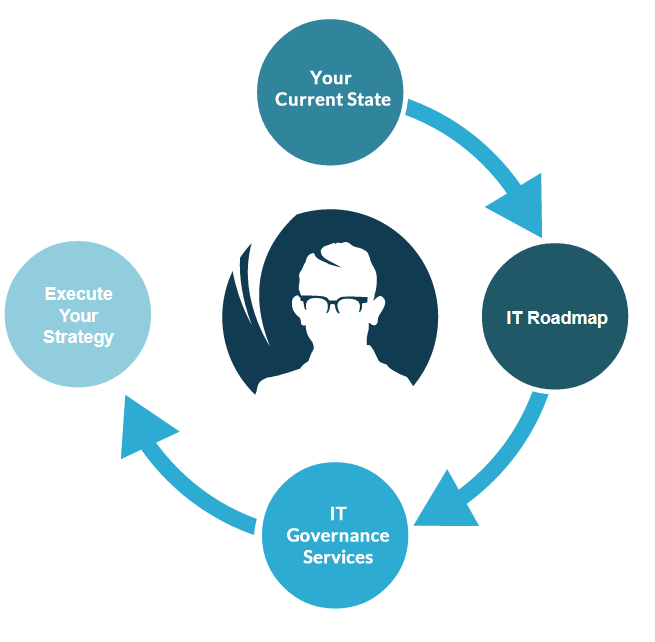 Our IT Governance Services provides you with ongoing guidance and support to your team to accomplish the strategic goals and execute to your business vision. We’ll help your team along the roadmap and provide ongoing quarterly or bi-annual assessments of their progress made to date and address variances to overcome. Supplement your team with the expertise it needs to meet immediate goals, while growing the skills and capabilities internally that mature your organization. At the end of the day, it’s all about getting stuff done. We’ve helped you identify your business and performance problems and built the roadmap to navigate your issues. Now what? It’s time to execute. But you’re ready to take a new approach, no more traditional internal IT staff. You want a team that provides you with the diversified expertise and skillsets you need and only when you need them. You want to get out of the personnel management business and bring in a team that is solely judged on its ability. Let BestIT transform your company today.